The month of May, in any given year, has a special resonance. May Day celebrations launch the floral tribute to the ancient goddess Maia and dispel the darkness of Walpurgisnacht. Then there are all those notable birthdays, not least of all the composers Brahms, Tchaikovsky, Wagner, Stamitz, Monteverdi, Scarlatti, Fauré, Massenet, Satie, Ligeti, Korngold and others. This fifth month now symbolically stands for a multitude of observances and celebrations, heaped upon it by many different sources in many different generations from different continents. It’s the month for special Marian devotion amongst Catholics. May seems to commemorate everything from the extraordinary to the embarrassing, from Amnesty International Day, World Red Cross Day and Cinco de Mayo to the less than sportive Frog Jumping Day, National Escargot Day, Dance Like A Chicken Day and National Candied Orange Peel Day. 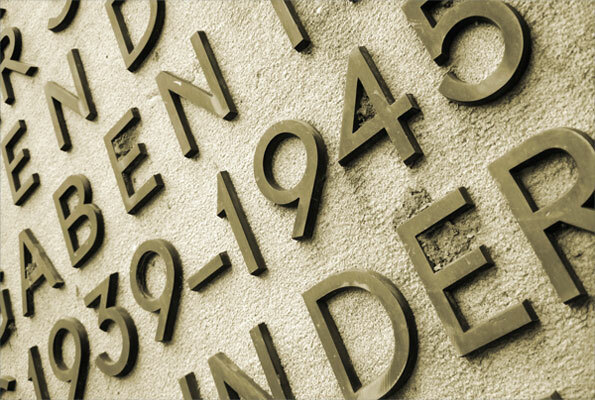 There is really no telling what we choose to commemorate and what we choose to forget. There are also observances once considered sacred that fall claim to the march of time. Victoria Day, still observed in Canada since 1854, morphed into Empire Day and finally Commonwealth Day, changing names and dates to preserve political appropriateness. Also, the month of May is seasonally equivalent to the month of November, depending on whether you are in the Northern or Southern hemispheres. More on that connection later. The end of the conflict against Hitler’s regime and the reminder of the ravages of the Third Reich should be an enduring historical marker. We duly commemorated the 70th anniversary of this solemn moment, earlier in the month. It is very disconcerting that at the next landmark anniversary – perhaps the 75th anniversary in 2020 or the 80th in 2025 – there will be few, if any, left alive who have a direct link with this war. A direct enough link to reach back through their own experiences and force an ever new, ever fast and ever disinterested world to take notice. An important impulse to our collective world memory will fade and it will fade globally for the same reasons. Whether in Japan, Russia, the United States or Germany younger generations already view the Second World War in a distant and removed manner. Almost 1.5 billion people have been born since 1990 and their world view does not include an acute awareness of what happened between 1933 and 1945. By 2025 there will be an estimated 3 billion more, with even less loyalty to the lessons learnt. History shows us this uncomfortable fact. It is in our DNA to avoid discomfort, so when events fade to history- and they do much quicker than they used to – who will remember, and far more importantly, who will have learnt and who will prevent? Who but historians remember? It was particularly poignant to see Heinrich August Winkler address the German Bundestag on May 8th this month, to mark what is referred to now in Germany as the ‘liberation’. The parliamentarians leant on his every word as he fashioned a complete tapestry of significant events in recent German history, not in some dour memorialization but in a vital and broad reaching admonition of the possibilities of hate and our collective responsibility to triumph over it. In my view, this meeting of the German Parliament was the most powerful way to both remember and honour this anniversary. By mid-century we will gently remember on Memorial Day and Armistice Day whatever manner of conflict and sacrifice that holds our living imagination. By the end of the next century we might view the Second World War as we view the Napoleonic Wars today. They too consumed Europe. They too were driven by despotic control and subjugation of peoples and territories – and when they were fought they too were the bloodiest battles in memory. We also demonstrate a disturbing yet undeniable universal pathology bordering on the callous and capricious. If we view any loss of human life as equally important, who will equally countenance the memorials that should have been set by now for the Congo War of the late 1990’s that ended in 2003. This war firmly falls within the lives of most of us and one that made the top ten list of bloodiest conflicts in history with approximately 30 million dead. Since we have a capacity to forget that is disproportionate to our capacity to remember, even when poked and prodded by history – let us remember a few more things this May. In May, 1915 – 100 years ago this month- The Great War was entering its unrelenting second year. On May 3rd that year Major John McCrae delivered the extraordinary poetic eulogy “In Flanders fields” to commemorate the death of a young lieutenant who died at the Second Battle of Ypres. It is from this poem that the poppy came to symbolize spilled blood, sacrifice and Armistice Day 1918. 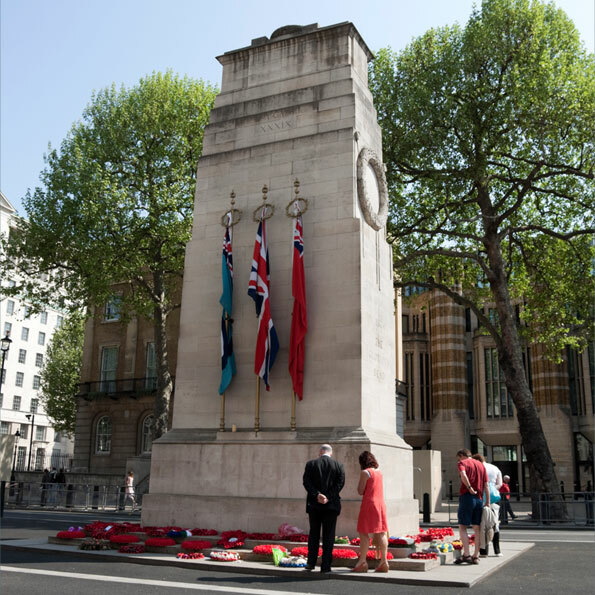 Post 1945 the first and second world war and numerous other conflicts are remembered in the eleventh hour, on the eleventh day of the eleventh month making one short day available for a memorial to all wars. 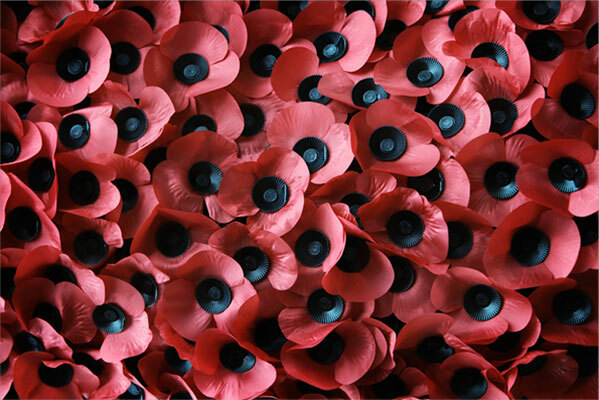 The poppy is now the universal European symbol for the Memorial of War – and May is joined with November as V-E Day and Memorial Day are joined with Armistice Day and Veterans Day. The two months once connected seasonally by nature are now connected by man, war and memorial. The last lines of John McCrae’s poem seem to anticipate our common failure to remember and to keep faith – and he had no idea that we would have fought well over 200 wars and battles since May 1915. Who but historians remember? Let us make time to listen to the historians!